Ertle the Turtle never rushes and he likes to take his time. Ertle is rather shy and fearful of making any sudden movements, worried it may result with him tipping over onto his back. 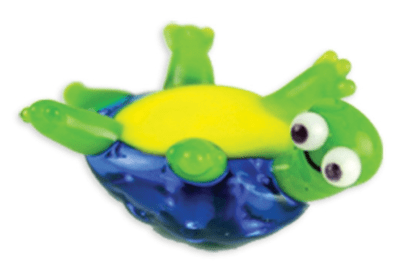 He is a wobbly turtle and tends to end up stranded on his shell. He often relies on the kindness of friends to flip him back over. Ertle was born on June 6, 2011.